Magnolia Directory Company, LLC is a privately owned, independent publisher of local telephone directories which began in 2003. Presently, we publish the Columbus-Lowndes Directory and have previously published a directory in east central Mississippi. The purpose of Magnolia Directory is to publish the very best local telephone directory possible. As we do, we keep our advertisers goals of success and profitability in mind. We approach our advertisers and honor them by adhering to the highest ethical standards, treating each with respect, courtesy and by using professional business practices. Magnolia Directory offers the largest print of any area directory. We also publish the only directory cross-reference. The directory comes in a convenient, portable size which is easier to use. We include maps of both the city of Columbus and Lowndes County. We offer full color advertising as well as black and white display ads. Our headings are concise and not repetitive. The filler used in the yellow pages are kept to a minimum and offer practical, useful information, famous quotes or Scripture for casual reading. We do not publish listings or accept advertising from certain businesses associated with socially questionable purposes such as abortion clinics, adult oriented entertainment or dating services. Magnolia Directory Company reserves the right to refuse and or not publish any business or residential listing which may be considered unlawful, unethical or not in the best interest of the community as a whole. Our local telephone directory is delivered to every address in Lowndes County either by the United States Postal Service or by hand. Additional copies are available at a number of convenient locations and are free. 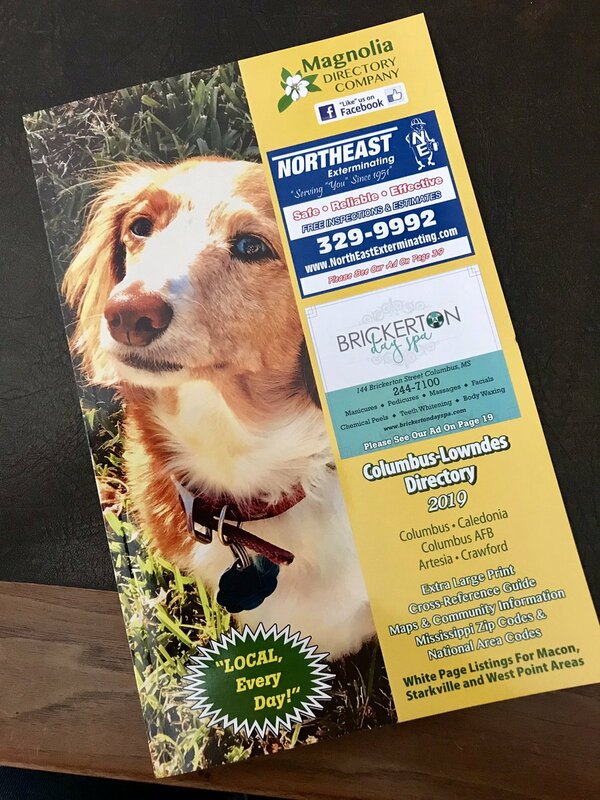 The Columbus-Lowndes Directory reaches the dominant market area of nearly every business in the county and does it for much less than other area directories which are distributed to places with little or no value. Why spend so much more to advertise where you have such a small percentage of your business from? Our directory makes much more sense and profits for our advertisers.